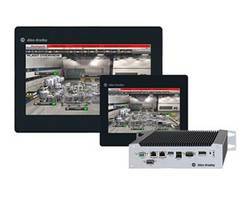 Rockwell Automation has introduced new additions to their machine safety product portfolio to help engineers optimize productivity, footprint and costs. The Allen-Bradley Compact GuardLogix 5380 controller family now meets SIL 2/PLd to SIL 3/PLe safety requirements. 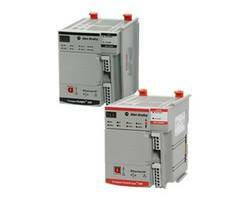 Rockwell automation is also introducing new safety modules for the FLEX 5000 and Compact 5000 I/O product families. They improve safety response times and are TÜV certified for use in safety applications up to SIL CL 3, PLe, Cat. 4. The PowerFlex 755 and 755T AC drives have a new Safety Functions Option Module based on IEC 61800-5-2 standards. 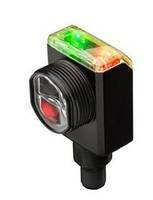 These modules monitor speed, direction and position. These new products are designed to communicate over EtherNet/IP and are tested against machine safety standards. MILWAUKEE, November 5, 2018 — Machine safety systems that are built to the incorrect safety level can create big problems in production. Under-designed systems that fall short of a required safety level can put workers in danger and result in big expenses. Over-designed systems that use more safety devices than required can lead to unnecessarily complex and expensive machines. 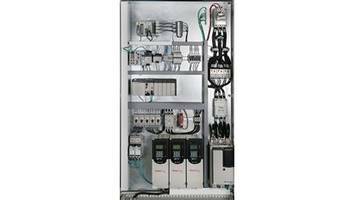 New additions to the Rockwell Automation machine safety portfolio can help engineers right-size their safety systems while optimizing machine productivity, footprint and cost. The newly expanded Allen-Bradley Compact GuardLogix 5380 controller family can now meet SIL 2/PLd to SIL 3/PLe safety requirements. This allows engineers to build safety systems to an application’s required safety level. The controllers are also designed to meet the higher productivity, communications and security requirements of smart machines. 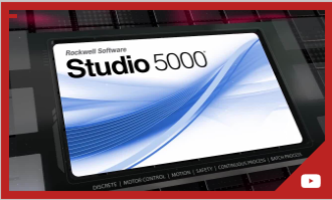 Rockwell Automation is also introducing new safety modules for the FLEX 5000 and Compact 5000 I/O product families. The new modules deliver dramatically improved safety response times, allowing engineers to move guarding devices closer to machines to reduce machine footprints. The safety modules are TÜV certified for use in safety applications up to SIL CL 3, PLe, Cat. 4. 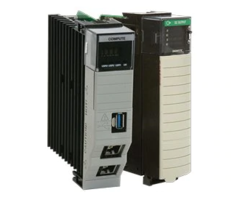 The PowerFlex 755 and 755T AC drives offer a new Integrated Safety Functions Option Module, providing several safety functions based on IEC 61800-5-2 standards. The module monitors speed, direction and position, and integrates safety and standard control systems on a single EtherNet/IP network using one controller. In addition, the networked safety solution provides zone control in which one zone of the machine is brought to a safe state while other zones continue to operate. The new additions to the machine safety portfolio are all designed to communicate over EtherNet/IP and are tested against machine safety standards to ease compliance. The products will also be included in the next release of the Safety Automation Builder software tool. This free tool can help users save time by guiding them through the safety system development process, including layout, product selection and safety analysis. Rockwell Automation provides a wide range of support for every stage of the safety lifecycle, from risk assessments and design services to installation, validation and training services.